Godzilla is our next monster for Monster Month! The King of Monsters is deserving of his title, clocking in at a calculated CR 30. 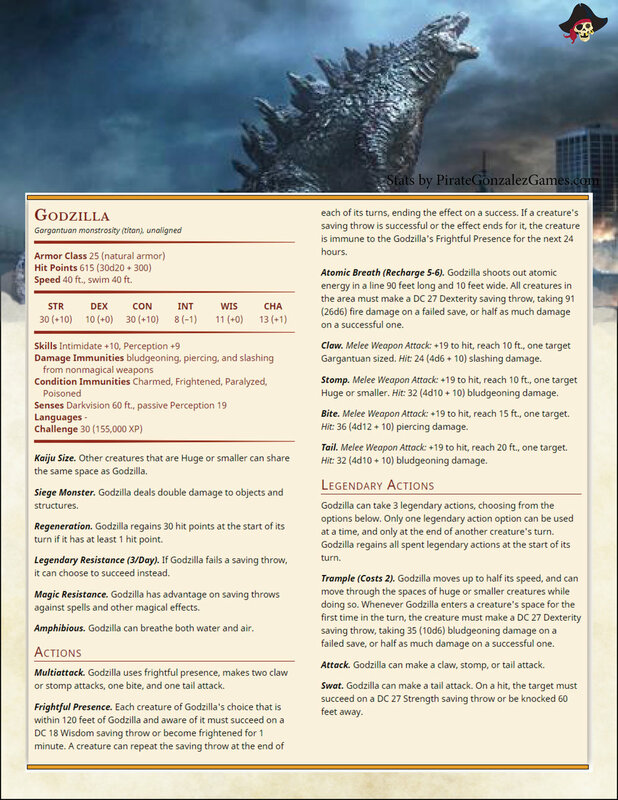 Can Godzilla go toe to toe with the other heavy hitters of D&D 5e?